Ah, throw blankets. 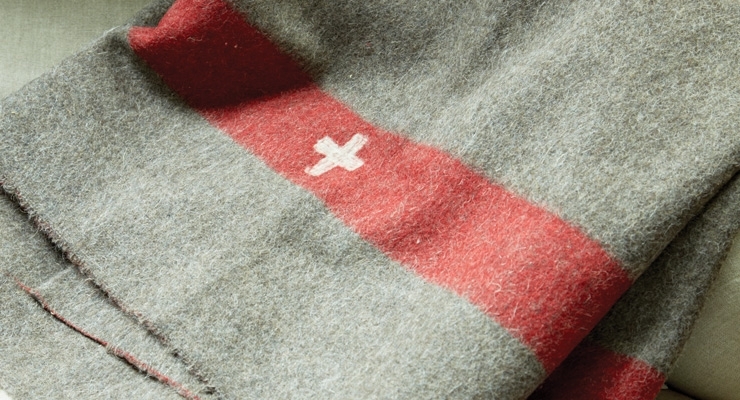 So cozy, so warm, so welcome in the chilly winter months. This makes them a great holiday gift for everyone on your list. Last week I showed you my favorite options in gorgeous colors. This week I bring you my top picks in chic neutrals. I'm a big fan of the Pyramids Travel throw from Terrain, shown above. 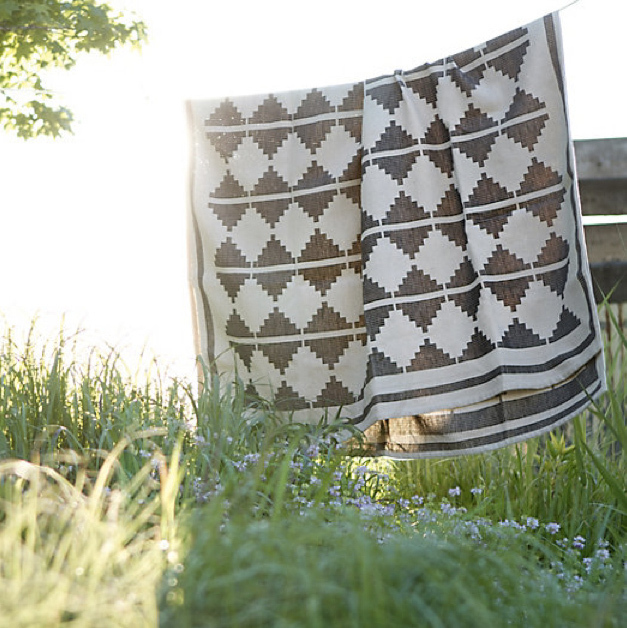 The pattern reminds me of a quilt, but because it's monochromatic, it maintains a modern feel. It's also exceedingly well priced, and quite lightweight, which means you can cuddle with it year round. 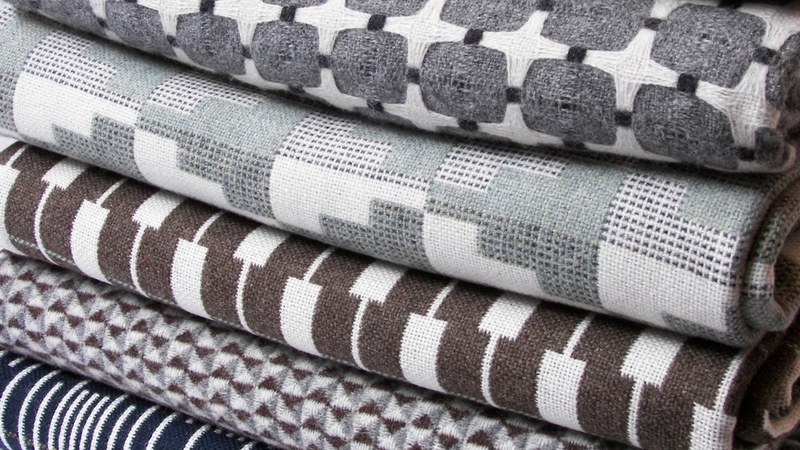 These throws from English textile artist Eleanor Pritchard are varied in pattern, and all gorgeous. They come in colors too, but I prefer these neutrals, in all their many shades of gray. 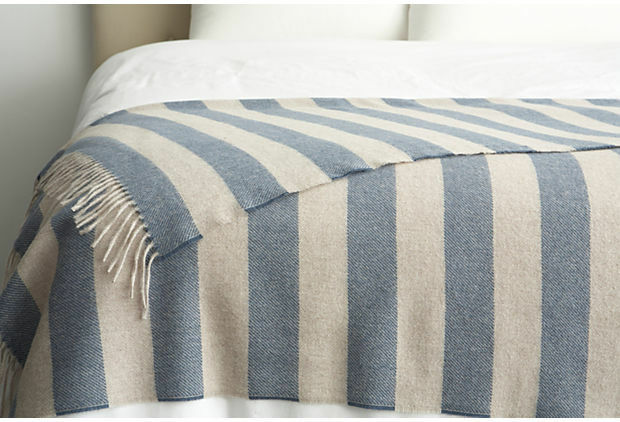 I love a good striped blanket, and this one from Dwell is a classic. I like that the white stripe isn't a true white: that keeps it from feeling stark or summery. Instead it just feels warm and casually chic. 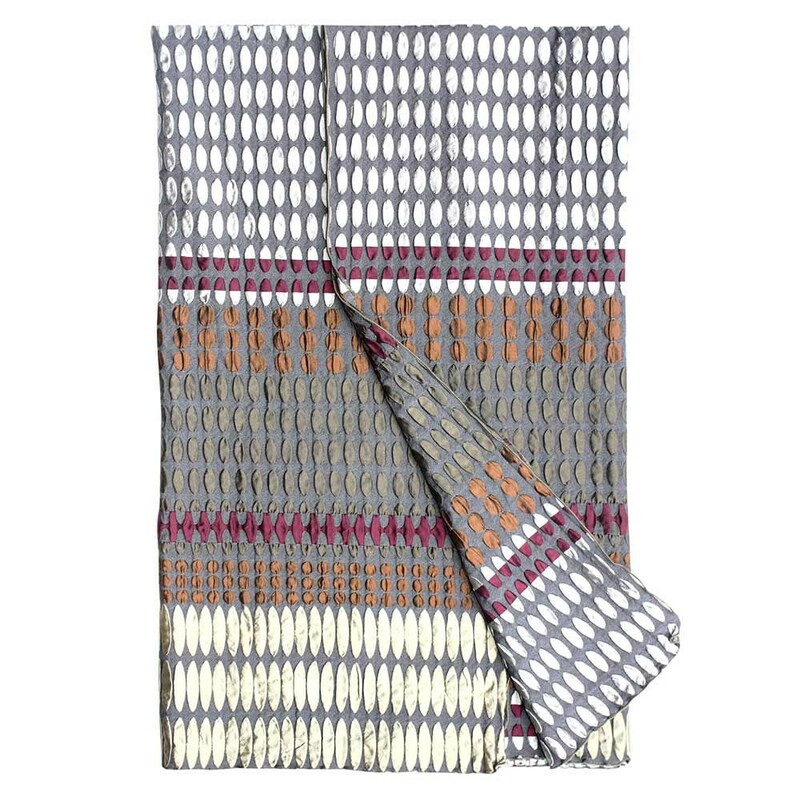 This Gunmetal throw from British textile artist Margo Selby is a real stunner. It's double-woven of silk and lycra, so it's shimmery and tactile and altogether unusual. It would look absolutely great in moonlight: that would really show off the material's pearlescent quality. There are plenty of faux fur throws out there, but only Tourance claims that theirs "feel like resting in a bed of feathers and flower petals." That's a pretty fanciful claim, but if they're good for it, I'm sold. And I like the look of this one, too: it's fluffy and soft without screaming "animal". Swiss Army blankets are a gold standard for warmth, and their iconic styling makes them a perfect match for a room with minimal fussiness. The Sundance catalog sells some beautifully preserved models for the hefty price of $298, but best to check out ebay and Etsy first: you may well find better deals there. I conclude with this throw from Scottish textile artist Donna Wilson. I showcased her Nos Da blankets in my roundup last week, and this one is no less clever. But like all her products, it's also a beautifully made, pretty object. Humor and quality: what more could you ask for in a blanket? So I say: grab one of these throws and settle in for a long chat or a good book. With so many great options out there, there's no need to be anything but cozy this holiday season.